vegetarians will love this one! 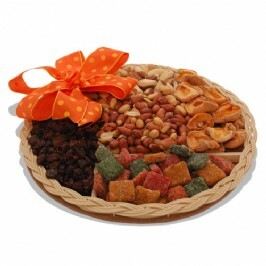 a tray with separate divisions jam-packed with a yummy variety of dr ied fruit including mango, mixed fruit, dates, peaches, pears and fruity cubes - time to tuck in! 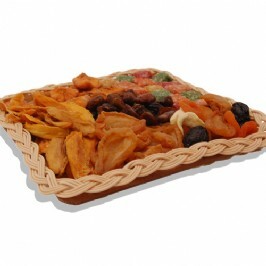 the perfect snack tray for the fruit lover, filled with 200g peaches, 200g mixed fruit salad, 100g t ropical dried fruit and 100g apple rings. 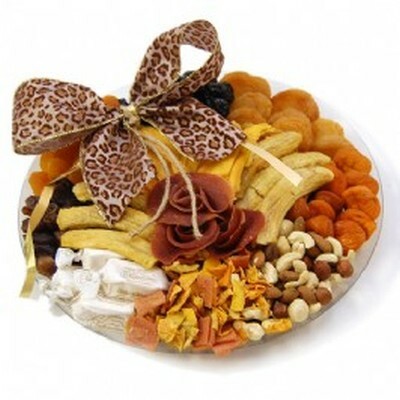 a delicious dried fruit and nut platter with sally williams nougat... with dates, apricots, prunes, pears, peaches, mango, guava, banana, mixed nuts and 4 individual nougat sweets. Lovely display hamper with biltong, dry wors, chocolates and dried fruit! Perfect as a gift to a Client! Shopprice is always committed to save every cent of your hard earned money by finding the best and the lowest prices, best bargains and hot deals on fruit gift hampers that fits your budget and requirements. 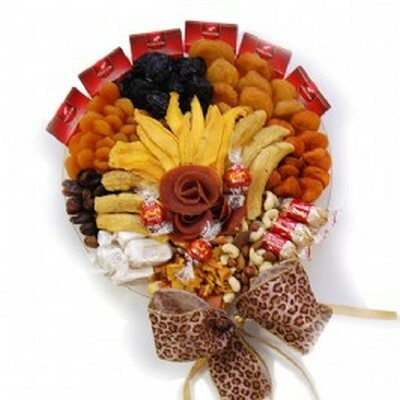 Helping you to get the best deals on fruit gift hampers on various special occasions like Christmas Day, Fathers Day, Mothers Day, Foundation day and so on.